SEPTEMBER 17, I gave my full presentation at St Mary of Egypt Orthodox Church (ROCOR) in Roswell GA (just north of Atlanta). My heartfelt thanks to Fr John Townshend for inviting men to this beautiful parish, and for the generous support from the church and parishioners. SEPTEMBER 30 – OCTOBER 1 — I was hosted by Holy Trinity Orthodox Church in Overland Park, Kansas, where I gave my presentation on Orthodox monasticism Saturday after Vespers, and had a table-top display Sunday after coffee hour, when I was able to meet a large number of parishioners. My heartfelt thanks and ‘Many Years’ to Fr Timothy Sawchak and Matushka Jennifer & family, and to this thriving parish, celebrating their Centennial this year! OCTOBER 7-8, I photographed the 40th anniversary of St Symeon the New Theologian Orthodox Church, my home-away-from-home parish when I am in Birmingham. We held a very successful fundraiser at St Symeon’s about a year ago, and I have been following up by providing my photography services leading up to and documenting the 40th Anniversary. May this wonderful parish thrive until the Lord returns in glory! OCTOBER 12, at the invitation of His Grace, Bishop Paul, I attended the Assembly of the OCA Diocese of Chicago and the Midwest outside Cleveland. 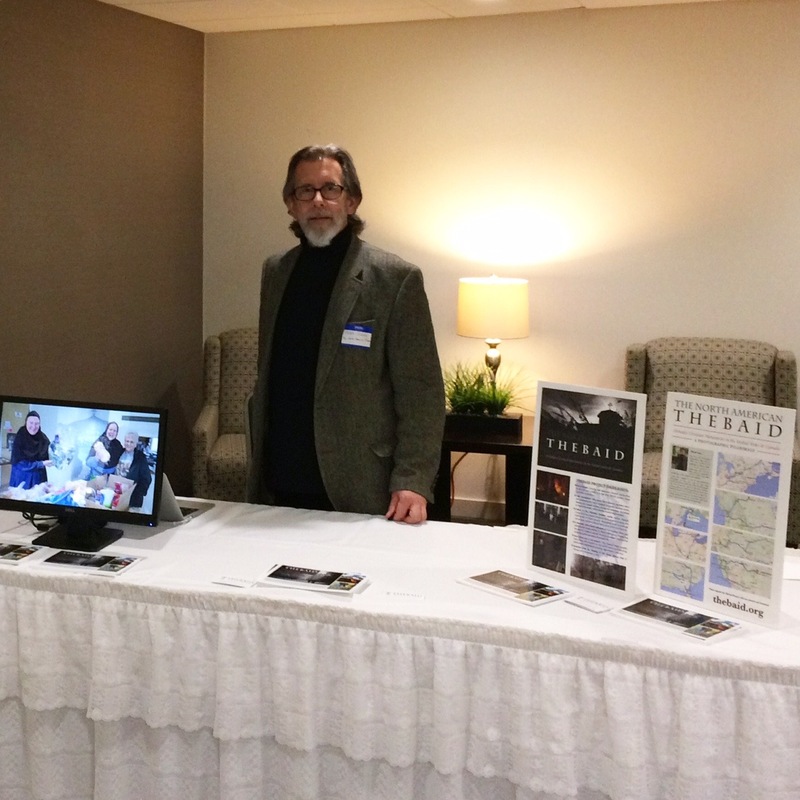 This was my first “official” presence as an exhibitor at such an ecclesial event, and I had many conversations with clergy and lay attendees, and look forward to sharing the Thebaid Project presentation at several parishes as a direct result of this event. 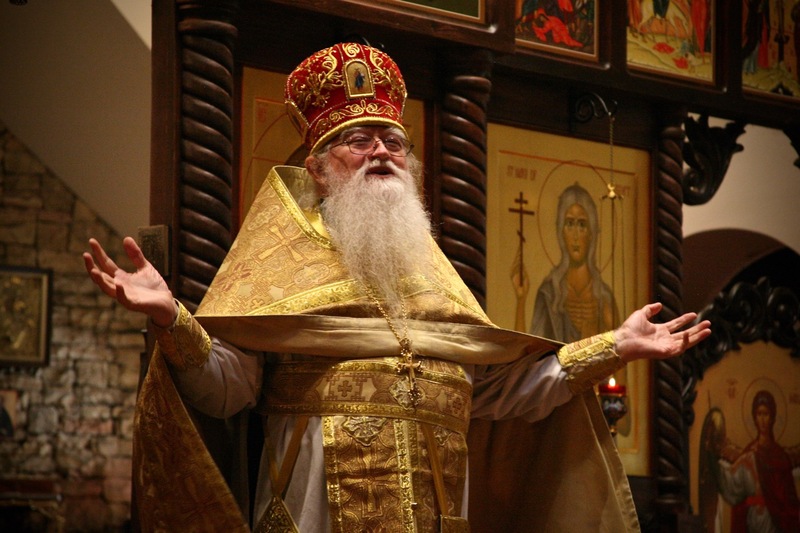 NOVEMBER 4-8 — Parish visit at Holy Apostles (ROCOR) in Beltsville MD. DECEMBER 6-8 — Monastery pilgrimage at Saints Mary and Martha (OCA), a women’s monastery in Wagener SC. TBD — I’ve also been in phone and email contact with numerous monasteries and churches in several states. As dates are confirmed, these will also be added to the Thebaid calendar. Now that we have established a steady rhythm of travel and photography, it is time again to reach out and seek new supporters to join the Thebaid Project as Fellow Pilgrims. Though the Thebaid Project has the blessing of my priest and diocesan bishop, we do not receive any funding from the Church, but rely 100% on individual contributors for all our operating expenses. All supporters receive valuable rewards for their contributions; at $50 and up, you are pre-ordering the finished book, due in Autumn 2018. Learn about all the rewards for supporters here. In addition to parish visits, our original business plan included a web-based crowdfunding component, which has been very successful to date. The Phase 1 fundraising effort did very well, raising 92% of our goal for 2016. In January 2017 we launched our Phase 2 Crowdfunding Campaign on the GoFundMe platform, which will run through the completion of the Thebaid Project and publication of the book in 2018. To date we have raised $5775 from 44 supporters towards the remaining $30,000 required to complete the travel & photography and the publication of the book. The goal for this Fall Fundraiser is to raise an immediate $5,000 to help propel travel and photography through March 2018. Watch for the Fundraiser Launch details soon, or contribute now through PayPal in the right hand column, or via our GoFundMe Crowdfunding Site! Remember, your contributions are cumulative, meaning you can select more valuable rewards as you contribute more. Some supporters have set up monthly contributions through PayPal. The Thebaid Project is a Registered Non-Profit Association; we will be sending out statements to all our supporters in early 2018 for your tax filing receipts. As I reported in September, my goal is to deliver the first hundred of the signed & matted fine-art prints to supporters beginning in November 2017. I hope to hold to this schedule. Thank you for your patience, and I assure you, these will be well worth the wait, with outstanding, archival-quality prints, in acid-free/lig-free museum mats, signed on the mat, and ready for framing! 370 followers for the website, 270 Facebook page likes, and growing numbers on Instagram and Twitter. Total reach last week on Facebook was over 4600, without spending a penny to “boost” any posts. 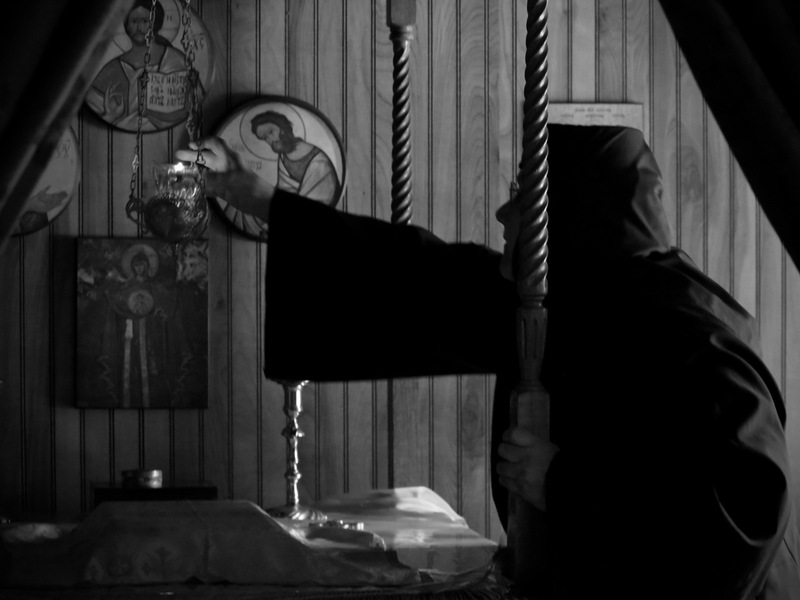 View hundreds of images from a dozen monasteries (so far), plus numerous parish photos at the Thebaid Galleries. Stay tuned for more updates, and please be assured of our sincere appreciation for your support and prayers! Your contributions have been key to getting us midway through the Thebaid Project!